In an interview with talk radio host Howie Carr, Coulter said the establishment media and both political parties are reaching a level of outrage that has not been seen since Trump’s announcement in 2015 that he would implement an immigration ban from a handful of countries with Islamic terrorism issues. Following that announcement, the establishment media, Democrats, and Republicans denounced Trump and demanded he denounce his travel ban plan. 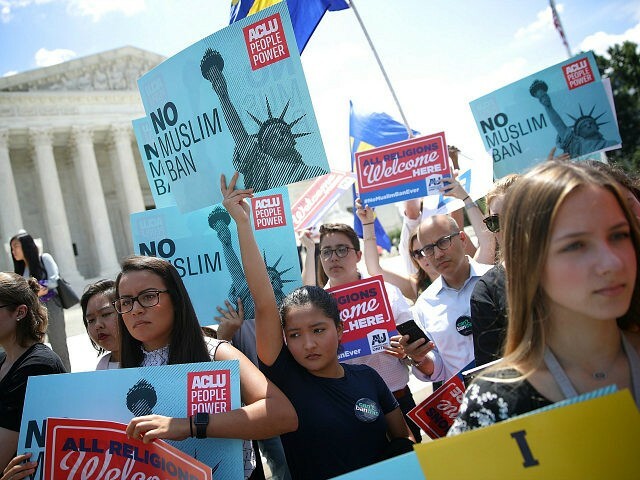 Trump refused and most recently the travel ban was reimplemented after the U.S. Supreme Court ruled that it is, in fact, constitutional. Now, after Trump and Putin held a press conference, Coulter said the reaction to the summit is similar to that of the screeching reaction to the constitutional travel ban. I would urge elected Republicans, if you have absolutely no sense of history or geopolitics which apparently very few of them do, just keep your mouth shut. The last time you went crazy over Trump and joined in this mob mentality was in fact over the Muslim ban. As Breitbart News reported months ago, the majority of Americans support Trump’s travel ban from Muslim-majority countries, with 56 percent saying they support the ban in the latest Morning Consult Poll. Last year, a separate poll found similar support for the travel ban, with 55 percent of Americans supporting a pause on refugee resettlement to the U.S. Still, Republicans blasted Trump’s travel ban despite its overwhelming support from Americans and especially among GOP voters and conservatives. Sen. John McCain (R-AZ) said the travel ban would fuel the rise of the Islamic State. Sen. Jeff Flake (R-AZ) said a restriction on immigration such as Trump’s travel ban should never be part of a GOP platform. House Speaker Paul Ryan (R-WI) said a travel ban was “not in our country’s interests,” though its direct purpose being to prevent Islamic terrorists from using the immigration system to enter the country.